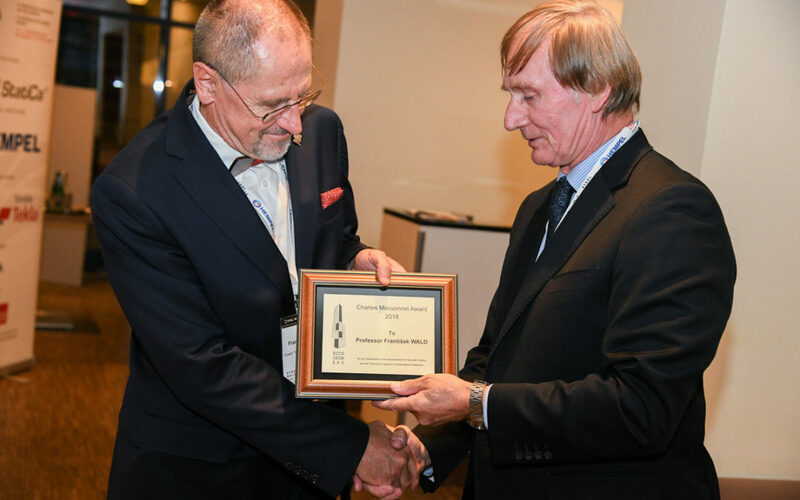 The European Convention for Constructional Steelwork ECCS created Charles Massonnet Award to recognize a prominent scientist who highly contributed to the advancement of scientific and technical support to constructional steelwork, and who had worked or is working in a Technical Committee of ECCS as a Full Member, as a Chairman or as Secretary of one of the mentioned committees. The Charles Massonnet Award is presented every year by an ECCS member association. Frantisek Wald who stands behind the CBFEM method concentrates on the connection and fire design of steel structures. He prepared the component model for column bases and the component based finite element model of joints. He works in ECCS Technical Committee 10 – Structural joints and in Project team for preparation of standard – EN 1993-1-8:2020. He also prepared and validated an analytical model for fire design of roof sheeting using membrane action. After Sept 11, he studied experimentally the robustness of multi-storey building in Cardington during the sevenths fire test on building. He served as Chairman of the EU COST TU action Integrated fire engineering and response (IFER) which focused on cooperation between the research community and fire brigades.